18TH century countryside mansion, 300sqm on 3 levels, kitchen with in-wall oven, 7 bedrooms, 2 bathrooms, long wooden balconies very well exposed, Large front courtyard and garden. 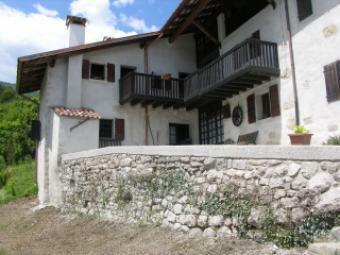 Located in the heart of the Natisone river valley, 8KM from Cividale. Ideally located close to main towns of Udine, Gorizia and Trieste. For lovers of a location rich in history, nature great food and exquisite wine.